Setting Spire F tractors apart is a choice of potent FARMotion engines with outputs of up to 113HP/83kW (on the Spire F 115). These powerful engines are mated to an ECO transmission allowing the tractor to be driven at top speed at engine economy speed. A choice of models with limited overall height, compact dimensions and class beating turning performance making them ideal for the diverse plant density and row spacing typical of fruit orchards and vineyards. An original design which protects the fruit orchard and maximises comfort. As well as expressing the distinctive character of the Spire F family of tractors, with no sharp edges or corners, the flowing lines of the engine hood, cab and mudguards ensure safe passage between the rows, preventing damage to overhanging branches. The interior also boasts impeccable design, with quality finish and materials chosen to improve operator comfort. Technology in pride of place for extraordinary performance. Opting for simple yet intelligent technology, FARMotion engines employ innovative solutions such as electronically controlled external exhaust gas recirculation EGR, the DOC catalytic converter and high pressure (2000 bar) Common Rail injection to deliver the power and performance to tackle any task combined with lower fuel consumption and compliance with Stage 3B regulations. These are flexible engines offering the perfect response for the challenging tasks typical of fruit farms, arboriculture and nurseries. These tractors are also a pleasure to drive, as the driver can save ideal engine speeds for different implements and recall them when needed. The electronic governor then maintains the engine speed selected regardless of load, maximising productivity. A simply perfect transmission for the perfect speed for the job, whether working between the rows or transporting by road. A superb 5 speed transmission with effortless, precise shift action, ideally spaced ratios and the "ECO" function, which makes it possible to drive at the maximum permitted speed while saving fuel by keeping the engine at lower speeds within the range with the best possible specific fuel consumption. Also available as a version with a 30+15 speed fully mechanical gearbox with underdrive offering up to 3 ranges (with supercreeper) and 3 powershift ratios, for a total of 45 forward and 45 reverse speeds. The transmission is available as the LS version, with mechanical reverse shuttle, or as the GS version, with hydraulic reverse shuttle, Stop&Go and ComfortClutch function, a three speed PTO (540/540ECO/1000) and a ground speed PTO. The AUTO 4WD system offers extraordinary traction and, in conjunction with the all-wheel braking system, maximises safety. A flexible hydraulic system responding to the diverse needs of implements typically used in the fruit orchard. To cater for specialised farming applications such as fruit orchards, vineyards and nurseries, Spire F tractors may be equipped with a hydraulic system with a single pump or dual tandem pumps with a flow rate of up to 64 l/min. A choice of different distributor configurations also caters for every possible need. These tractors may be equipped with up to 6 rear distributors with flow regulator, and an optional additional two electrohydraulic distributors plus a duplicated distributor with flow regulator. Boasting an impressive lift capacity of 2,800 kg, the rear lift is capable of tackling the heaviest of loads. The Spire F cab combines functionality with freedom of movement for extraordinary comfort. 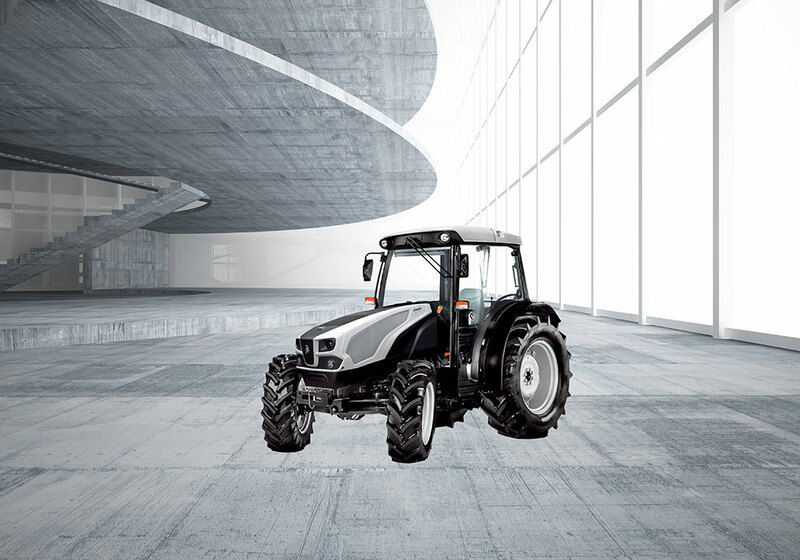 A spacious cab offering all the room the driver needs and total all-round visibility, despite the limited width of this type of tractor. The ergonomic controls are rationally arranged around the driver, and are colour-coded for immediate identification.An array of directional vents maintain the ideal temperature in the cab. The cab is pressurised to keep the driver safe when applying chemical crop treatments. The compact wheelbase and impressive steering angle are ideal for working in tight spaces. The driver area offers all the comforts the driver could want and is compatible with 28" and 24" tyres. An innovative hydraulic system with 3 selectable levels and a flow rate of up to 131 l/min. The use of hydraulic tools is on the rise in vineyards and orchards and the hydraulic systems equipping specialised tractors are crucial for obtaining professional results. To be competitive, a hydraulic system must offer the following characteristics: high, programmable flow rate; precise, rational distributor management; an adequate number of both front and rear hydraulic couplers; the ability to assign multiple functions to a single controller and, above all, modular, settable levels allowing the machine to be configured to meet the needs of the customer. 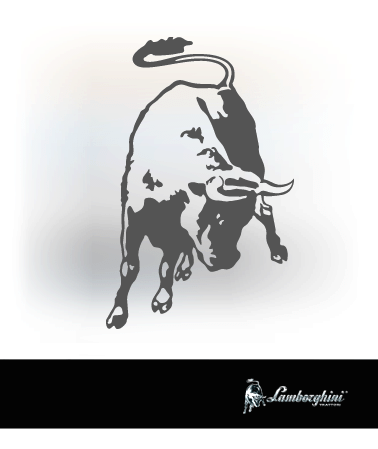 Lamborghini Trattori has stepped up to the challenge with the tractors and with three new specialised hydraulic systems:High-Flow, Power-Flow and Setting-Flow.